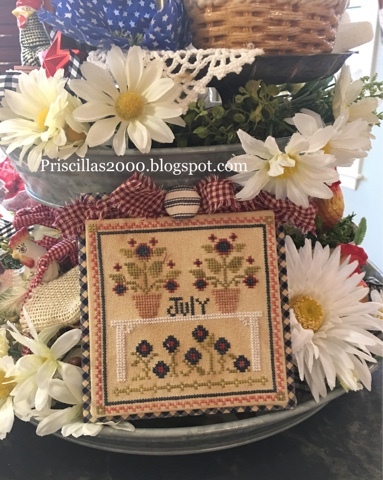 I finished stitching this July Sampler months from Little House Needleworks this morning and had to get it finished right up and put in the galvanized tiered tray in the kitchen.. 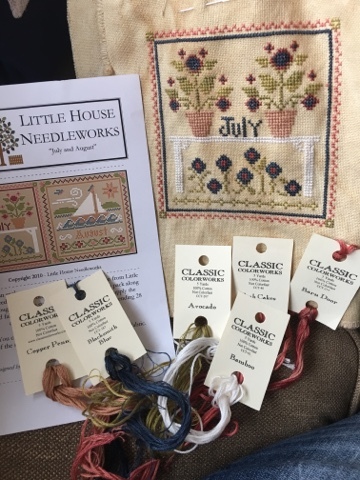 I changed out 3 of the colors and love the way it looks( all floss I used is shown below) .. 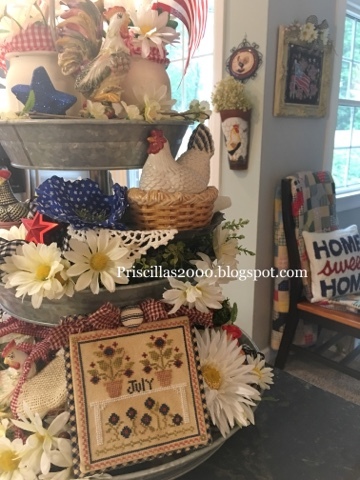 I mounted it on sticky needlework board , then mounted navy homespun check on another sticky board and glued them together.. I added a red homespun check bow and a navy ticking covered button.. Doesn't it look so pretty in the tray? Yes, it looks just wonderful in your tray!! !